intense pink colour, fine mousse. Lush aroma, fragrant and aromatic, intense red fruit and strawberries. A sweet, soft and delicate taste with refreshing aromatic finish. Accompanies chocolate-coated strawberries, wild berries, and goes well with dried fruit, walnuts, hazelnuts, almonds, pistachios and figs. The most traditional association, with a dessert after the meal or mid-afternoon, is with dry pastries and with oven baked sweets, from Christmas Panettone to jam tarts. 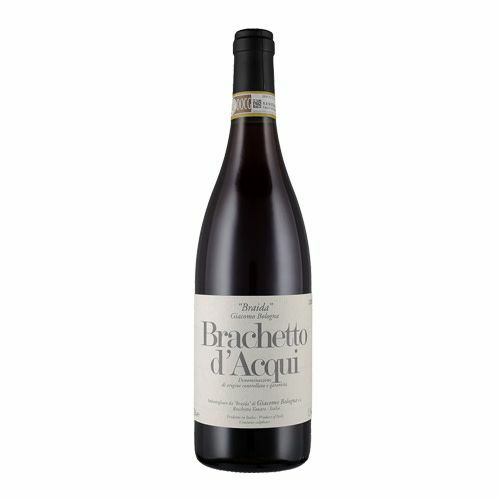 Brachetto d'Acqui is one of the few wines throughout the world which can be matched with dark chocolate.